The thing that no one tells you about your twenties is that they are a whirlwind of epic highs and gut-wrenching lows, none of which you ever see coming. They are a constant battle not to get lost on the way to finding yourself, and the truth is that everyone around you is basically just holding on for dear life and hoping that nobody notices. The good news is that by the time it’s all over and done, you’re usually so emotionally wasted that you don’t have it in you to fight your soul-crushing insecurities and realize it’s far less work to be the best version of the person that you’ve been all along. 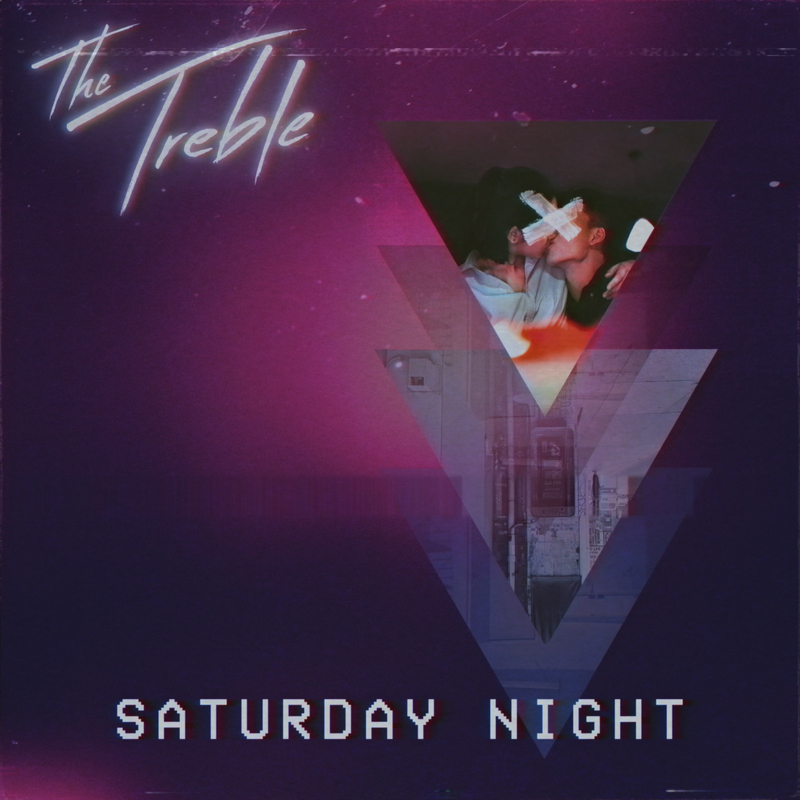 For alternative rock band The Treble––Mark Brusegard (vocals), Colin McTavish (keys, synth, rhythm), Graeme Woods (guitar) and Patrick Hansen (Bass, Synth)––that realization was completely freeing. Not only did it open the floodgates creatively, but it saw the band writing from a place of contentment and self-assurance for the very first time. “I think going through your twenties you just realize how much you see people go through and how much you’ve changed,” says vocalist Mark Brusegard. “For us, the last ten years have been this great thrill ride where all of this cool stuff happened, but we didn’t get a chance to take a breath because we were always trying to please somebody else. When we finally took the time to just be, that was when we were able to figure out who we are, what we sound like, and how to best represent all of that musically. Captured fully on their forthcoming sophomore effort produced by Ryan Worsley (Dear Rouge, Said The Whale), which is jam-packed with melody-heavy tracks that couple anthemic group harmonies and poignant autobiographical lyrics with urgent brooding rhythms and soaring electronic flourishes, is truly the sound of The Treble coming into its own. Lyrically, the album takes on everything from tough personal relationships to struggles with anxiety, self-doubt, and mental health, and the result is an honestly delivered portrait of what it’s like to wade through the sometimes murky waters of young adulthood and finally make it out on the other side. “We knew that if we were going to do ourselves justice that we would have to get personal with this album,” says Brusegard. “So, we decided to take the walls down. We wrote about the things that have happened to us and to the people around us over the past couple of years or so, and we tapped into a lot of real stuff, uncomfortable stuff, this time around. I think it’s the most honest we’ve ever been with our songwriting. 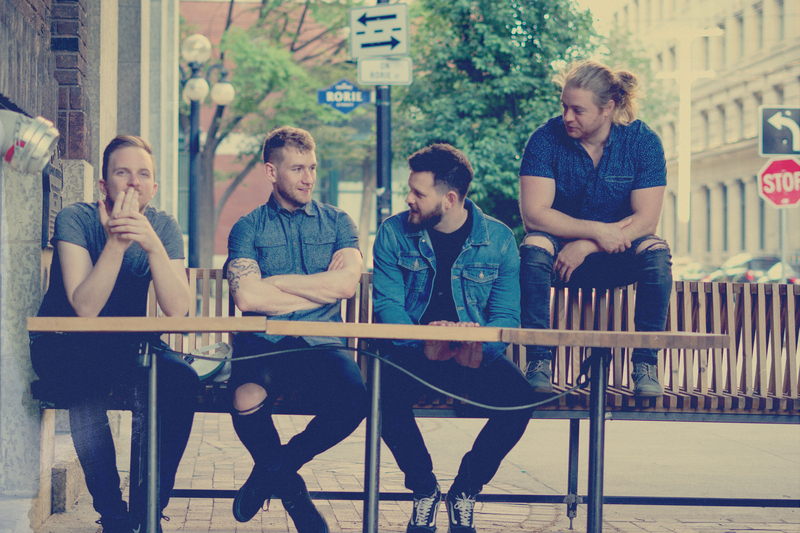 Formed in 2008, it’s been a slow climb for The Treble, but they’ve finally carved out a place for themselves within the wider Canadian music scene on the strength of their shadowy hook-laden alt-rock songs, reputation for delivering spectacular DIY content, and a drive to give back to the community that saw them through it all. Their up-all-night fundraiser, “24 Shows In 24 Hours,” which is now in its fifth year, has raised more than $15,000 for various charities while songs from their first two independent EPs garnered regular radio airplay and saw the band do several cross-country tours, multiple international events, and even walk away with a few arena dates under their belts. Their debut album, Modernaires, was released via Cadence Recordings in 2017, and went on to chart in the Top 40 on Canadian alternative radio and in the Top 5 on SiriusXM/The Verge’s The Grocery List respectively. When it comes to their live show, The Treble are one of those bands that give you everything and leave it all with the crowd. “The best performers are the ones that get completely lost in their songs and they do it night in and night out,” says Brusegard. “When you watch somebody who does that, it doesn’t matter what the lighting looks like or the size of the venue, they take you somewhere, and I think that’s what we’ve always been about. The first single from their forthcoming sophomore album, “Eyes on Us,” which the band has described as a dark love song about two people who are trying to make it in a world that believes they shouldn’t be together, is due out now.